Read true stories of past Acts of Vigilante Kindness. Last night my Facebook birthday fundraiser for Vigilante Kindness was fully funded!!! There was a mad rush of donations at the end to donate the last $20 that had me absolutely giggling with delight! My sleep last night was restless because I couldn’t stop thinking about all of you, who you are, who I am, who we are as Vigilante Kindness. I started writing out things that are true of you and I, what we do, things we love, what we’re going through, where we’ve been, and all the other things that make us who we are. It leaves me full of love thinking about each of you and leaves me in wonder thinking of who we are collectively. Thank you for choosing to be a part of our story. I couldn’t love you more if I tried, so I made you a present, a story of who we are. Two Projects Are Fully Funded!!! As many of you know, I’m celebrating turning 41 by having a fundraiser on Facebook to fund three of my favorite Vigilante Kindness projects. As of tonight we’ve raised $1,870 out of $2,000 dollars and two of the three projects are fully funded!!! 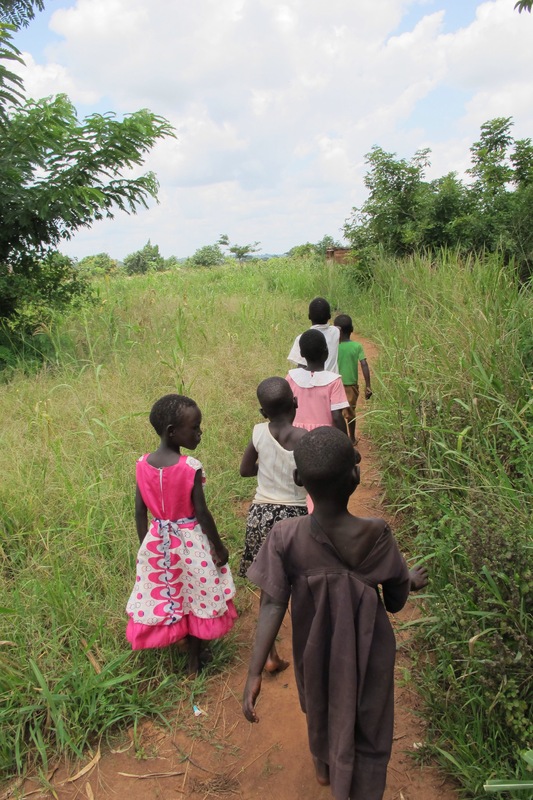 With 4 days left until I leave for Uganda, we’re $130 away from funding all three projects! That’s just AMAZING! Here’s a quick video to tell you a little more. It’s good to be in this space with you again. 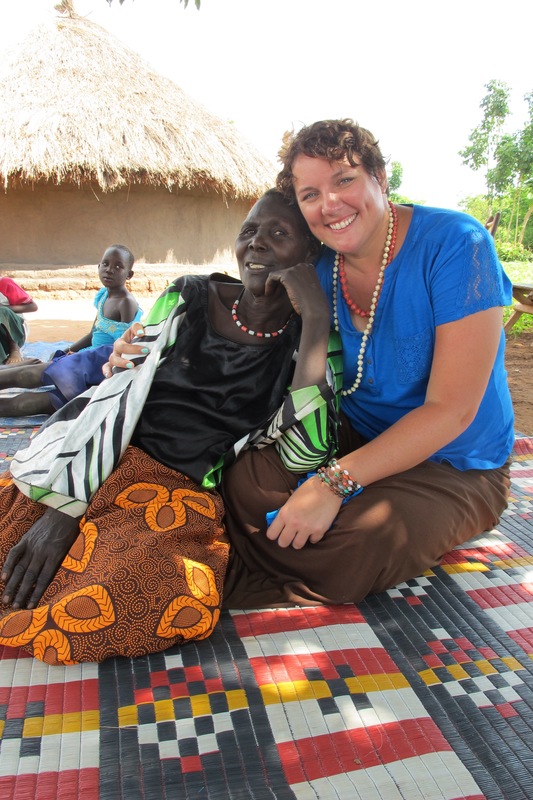 There are only 5 days until I return to Uganda and I’m SO EXCITED to return to my African home!!! Sorry, did I get a little shouty there? I’m just really thrilled! Many of you have been following Vigilante Kindness on Facebook, so you know we’ve been doing a fundraiser for my birthday, which was last Friday. Thank you for your generosity and for making my birthday so special. 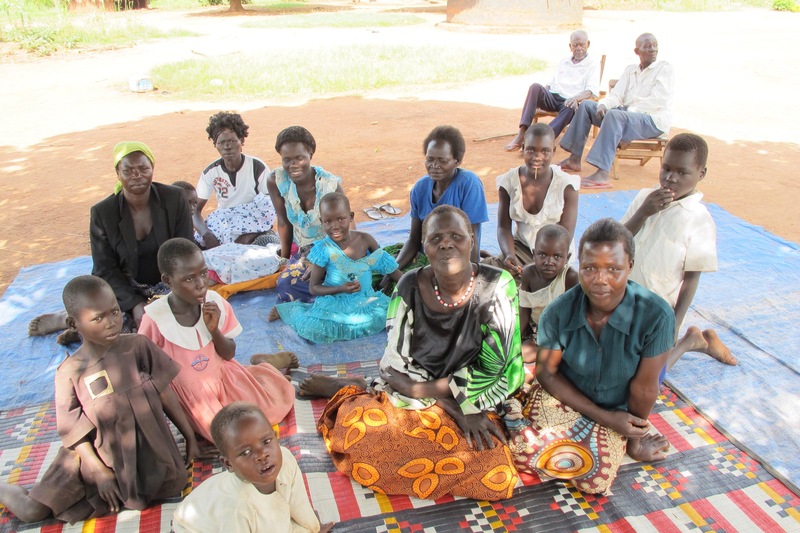 I love that you love my loved ones in Uganda so much. In case you aren’t following us on Facebook, here’s a video update on our projects that I posted there. I’m so thrilled to get to do this work and to have you right alongside me. If you feel compelled to support any of our projects, you can click here to donate via PayPal. 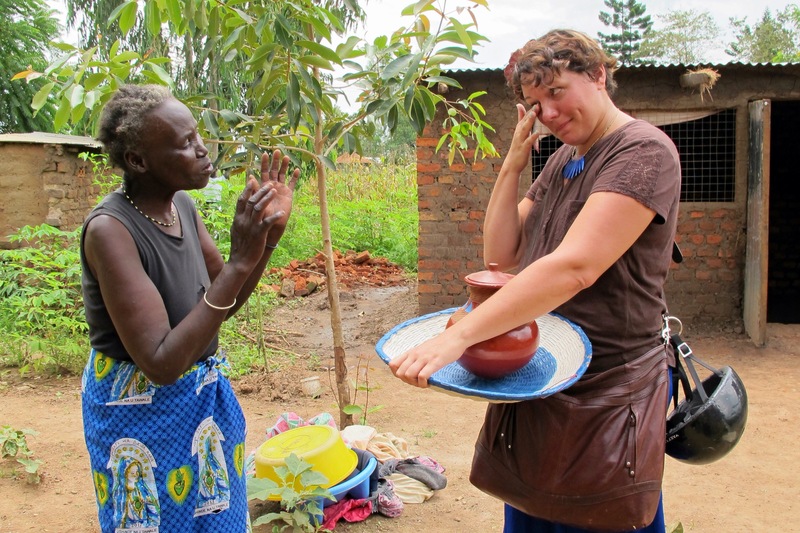 Thanks so much and I look forward to sharing more stories of Vigilante Kindness with you from Uganda! Happy Thanksgiving, to our American Vigilantes and happy Thursday to our other Vigilantes around the world. 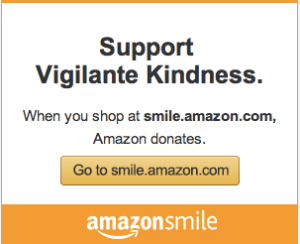 As our first year as an official non-profit comes to a close and as we prepare for more adventures in Vigilante Kindness in 2016, I wanted to take a moment to say thanks for partnering with Vigilante Kindness in this work we love to do. Whether you volunteered your time and talents, hosted a fundraiser, donated to one of our projects, purchased paintings or art supplies for our artists, purchased paper bead jewelry from our artisans in Bungatira, prayed for us, used your grocery shopping or AmazonSmile shopping to support us, donated your recyclables, or simply followed along on our journey, I’m overcome with gratitude for you. What began as giving shoes and mattresses to kids in need and buying a sackful of pigs became a way for students and their families to earn sustainable incomes to pay for basic needs like food, medicine, and education. Who would’ve thought this adventure would unfold before us in such wild and wonderful ways? For sure not me, but that’s just like God to take my meager yes and run with it. And it’s just like God to give me wild at heart, desperate to serve, breaking the mold kind of Vigilantes like you to keep me company. At this very moment, I sit writing by the Nile, the Albert Nile stretching out mere steps away in front of me. 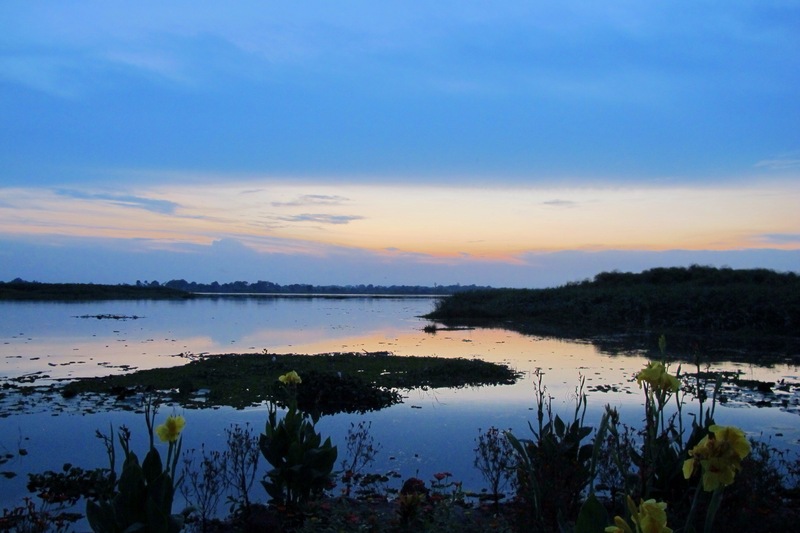 The river is glass, hiding crocodiles and hippos, a whole underwater world of hungry life. The rain has gathered in the river, engorging her, bringing the banks higher than I’ve seen before. Tiny dragonflies flit all around me and I can’t help but think of dominoes when I think of the path that led me to this moment, sitting at the feet of the teeming river. I’m amazed at the way things play out, the way life unfolds like a curving line of dominoes, one domino tipping and then colliding into the next and the next and the next. I’ve never been any good at setting up domino mazes. I’m too impatient and I can’t ever seem to get the spacing or the angles right. Yesterday I returned to Te Okot to check on the well, to deliver 46 more solar lights and to meet with the elders and community about next steps for building a school for the children of Te Okot. On the way to Te Okot I passed the village of Got Apwoyo. “Got” is the Lwo word for mountain and “apwoyo” means either “rabbit”, “hello”, or “thank you” depending on intonation and context. Got Apwoyo the village is named for Mount Rabbit, but each time I pass the Got Apwoyo sign, I’m can’t help but think of a mountain of thanks. This year Got Apwoyo has taken on a truly special meaning. 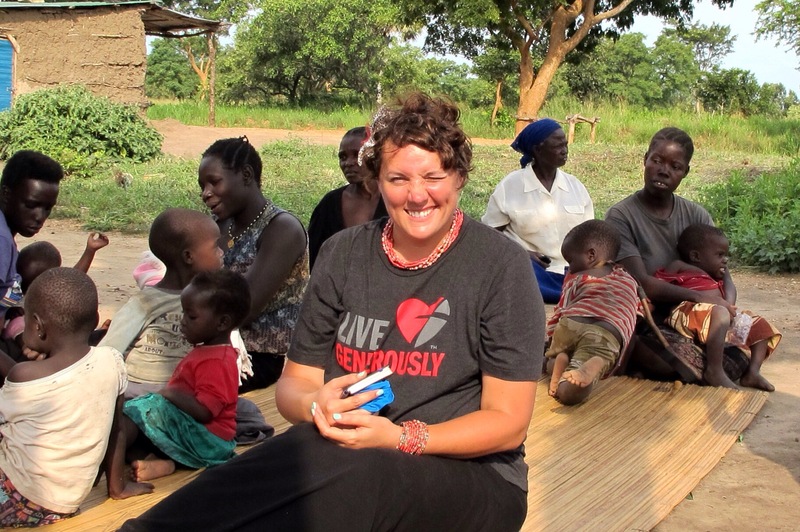 When I returned to Te Okot, I was so eager to see all the people I’d come to love last year. 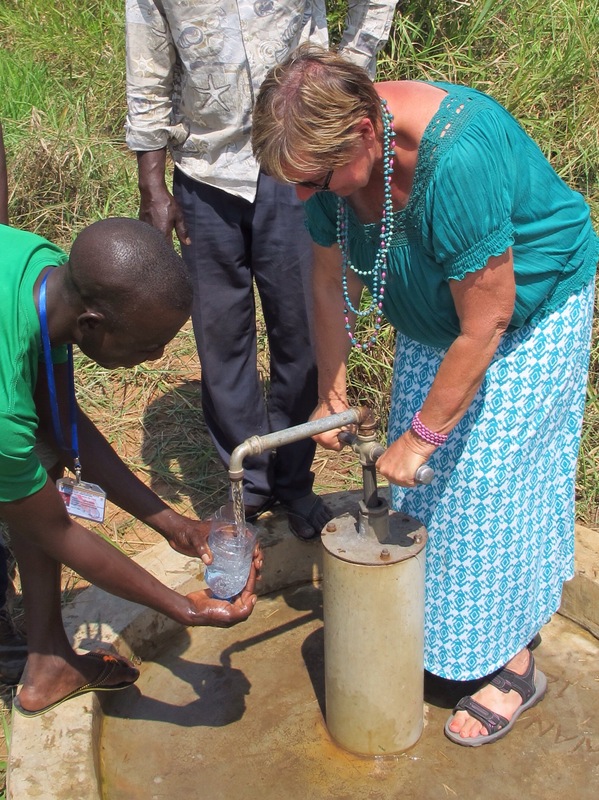 I was excited to see the well still pumping out fresh, clean, healthy drinking water and I was glad to deliver a second round of solar lights. 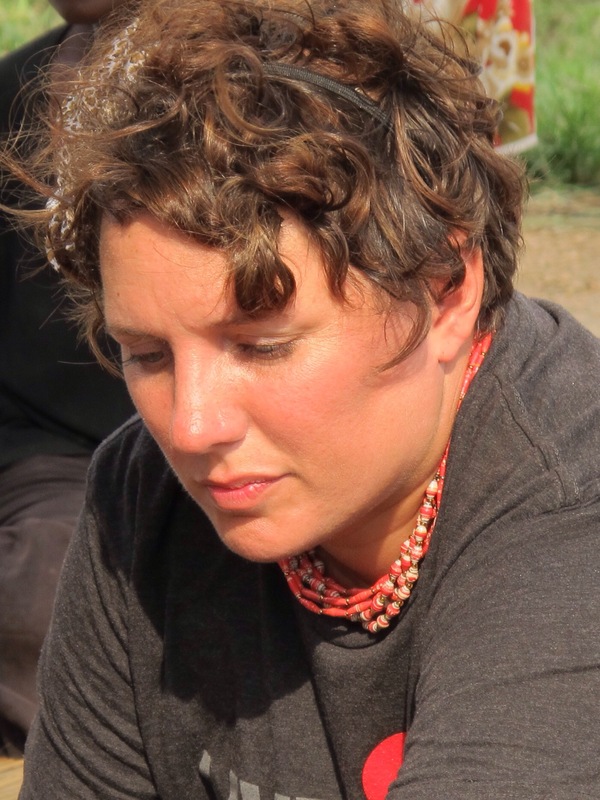 But in the pit of my stomach I was nervous at telling the group I’d not yet found a suitable organization to build their children a school and that I’d not raised nearly enough money to even begin such a project. In the same way I believe that all people should have access to healthy water, I believe all children should have access to education. 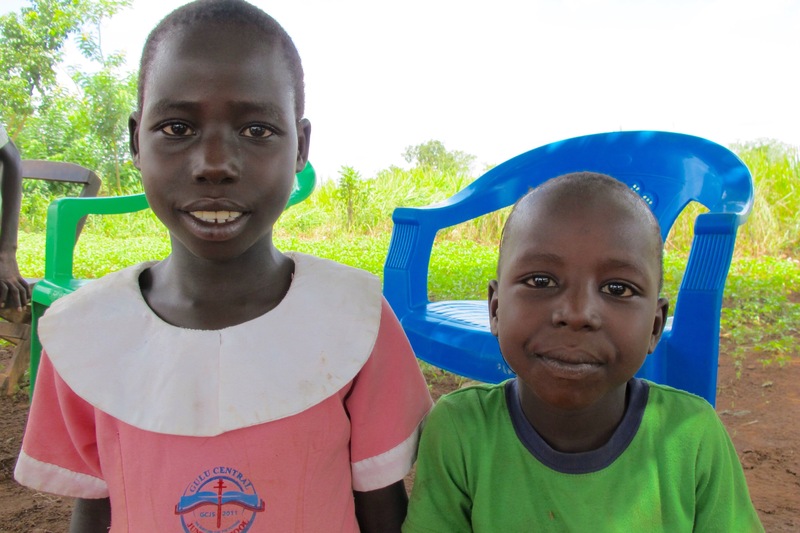 There aren’t public schools in Uganda, even the schools built by the government charge school fees. Though I’m careful not to make promises I can’t keep and I hadn’t promised Te Okot a school, a large part of me felt like I’d failed them. As if any of this is about me or depends on anything I do. Really my feeling like a failure was quite arrogant. While I was lost in doubt, God was smiling and setting up lines of dominoes. Isn’t that the best news? In times of failure, God is delighting in unfolding a plan we can’t even begin to see. 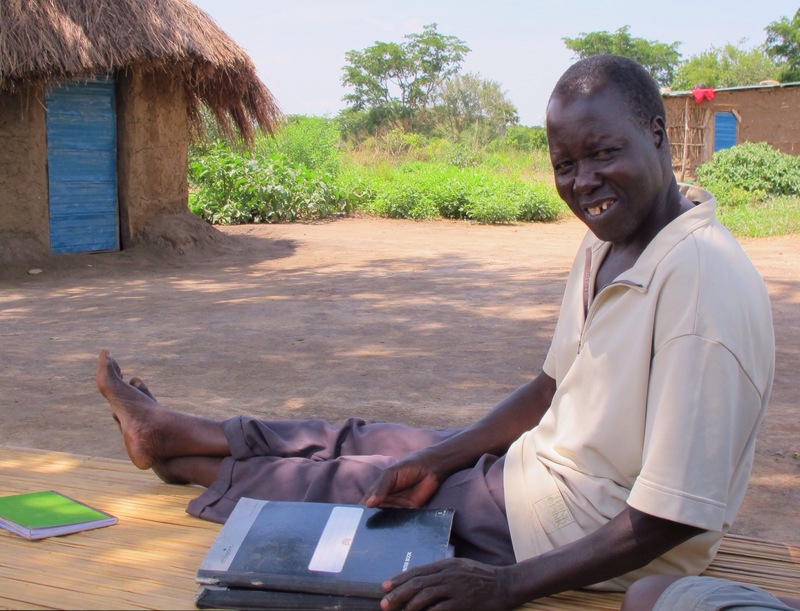 After tramping through the bush to see the well, I returned to the community meeting, sat with my shoes off on a papyrus mat next to the Lapyem, the musee of Te Okot. After roll call, Lapyem began the meeting, greeting my mom, Denis, Bitek and I. Then it was my turn to speak. I took out my small notebook and in a quivering voice, I read the speech Olive, the daughter of my language teacher, had helped me write. 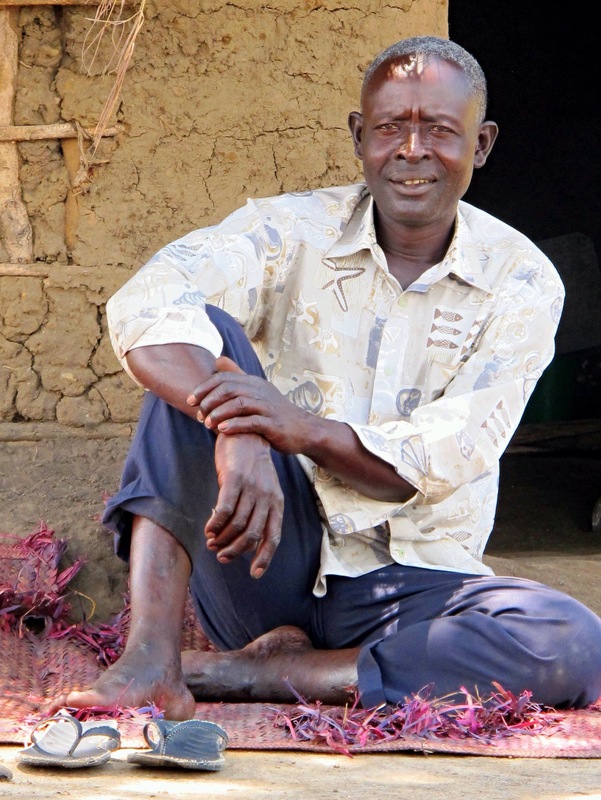 Apwoyo ludiro magitikany, ki apwoyo Lubanga me ripowa. Bed ma cwing wu tek. Pyen Lubanga ti ked wu. An bene wiya pe wil i kum wu. Pol kare ka amaro pi, atamo pi wu. Cwinya yom pyen wu tiki pi maleng, maber pi yot kum. Anyeyo ni lyec dong pe ka yelowu pyen mac tye. Amarowu matek. Apwoyo. Greetings to the elders. I thank God for bringing us together again. God is still with you and you are always in my heart. Whenever I drink water, I always remember you. 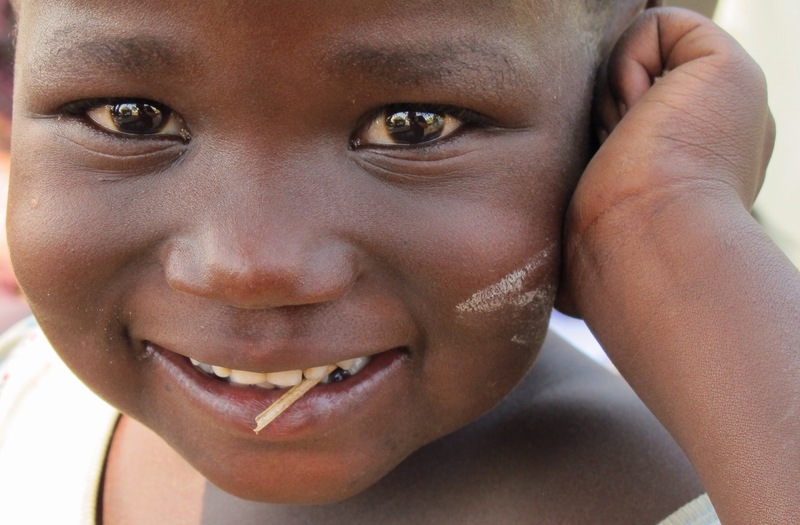 I’m happy because you have clean water, which is good for your health. I hope the elephants aren’t disturbing you anymore because you have lights. I love you all very much. Thank you. The people at the community meeting were very gracious and this time I didn’t even need someone else to translate my attempt at Lwo into real Lwo. Phew! 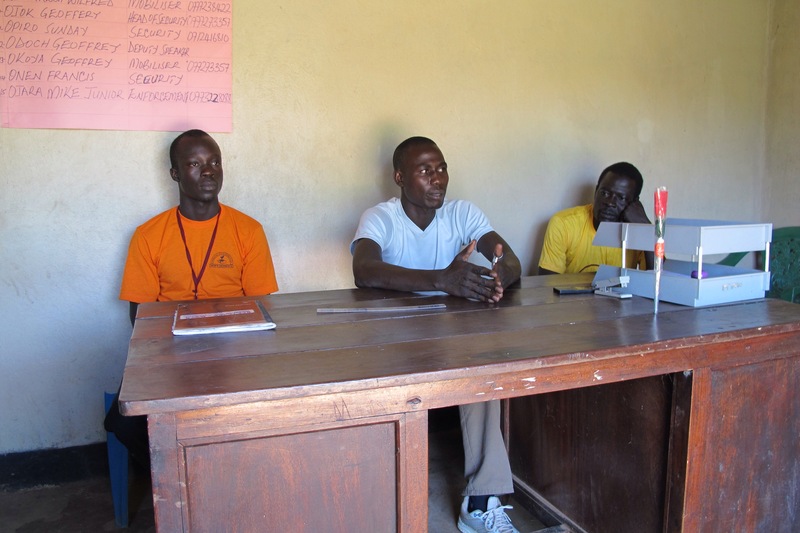 During the meeting, we revisited the three needs of Te Okot from last year: water, a school, and a medical facility. I braced myself to bring the news that we were far away from building a school. That’s when Francis, a mechanic and the brother of Lapyem, stood and reported. He said that what they really need most is a tractor. 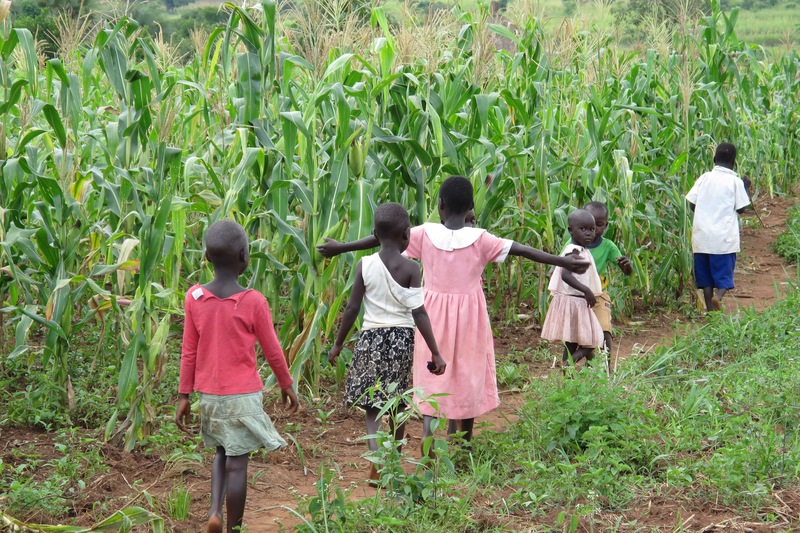 A tractor would allow their children to go to school and also prevent many of the health issues they’re facing. A tractor??? A tractor would do all of that? I asked Francis to tell me more. 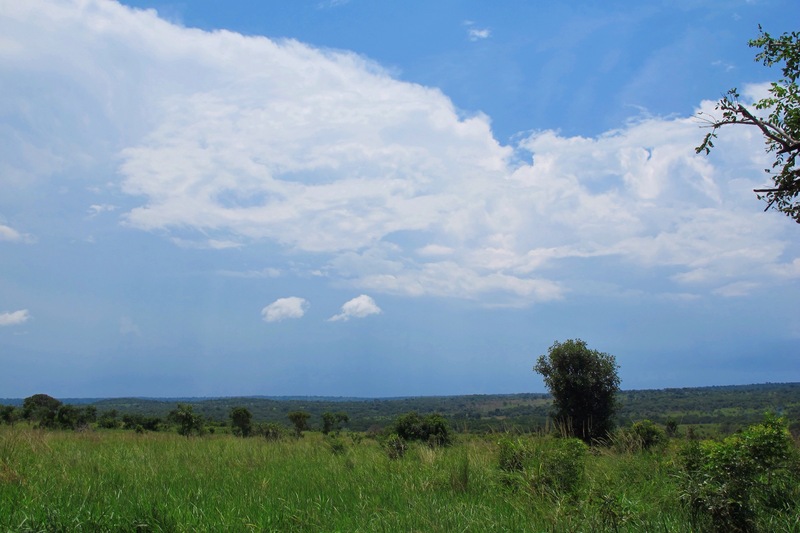 Over the last year, parts of Uganda have been divided into different subcounties. Got Apwoyo and Te Okot were rezoned into a subcounty called the Got Apwoyo Subcounty. Te Okot was included in this redivision because Te Okot now has a source of healthy drinking water. To think that the well was one of the influencing factors in allowing Te Okot to become part of the new subcounty blows my mind. The important thing about becoming a part of a subcounty is that the government can’t have subcounties without schools or access to medical care. So now that the villages of Te Okot and Got Apwoyo have been designated together to form Got Apwoyo Subcounty, the government will have to build a school and a medical care facility. I tried to remain calm on the mat, but I was flooded with excitement and relief. I know nothing about building a school. Less than nothing. Francis continued explaining that their land is too difficult to farm using hand tools. I nodded emphatically. I’ve walked to the well enough times to know that the hard ground, sloping terrain and lush bush are monumental obstacles. Plus there are those pesky elephants who eat whatever they please. I still wasn’t understanding how a tractor would help with the issues of education and health, so Francis continued. If they had a tractor, they could farm and grow enough food to not go hungry, eliminating many health problems related to starvation. 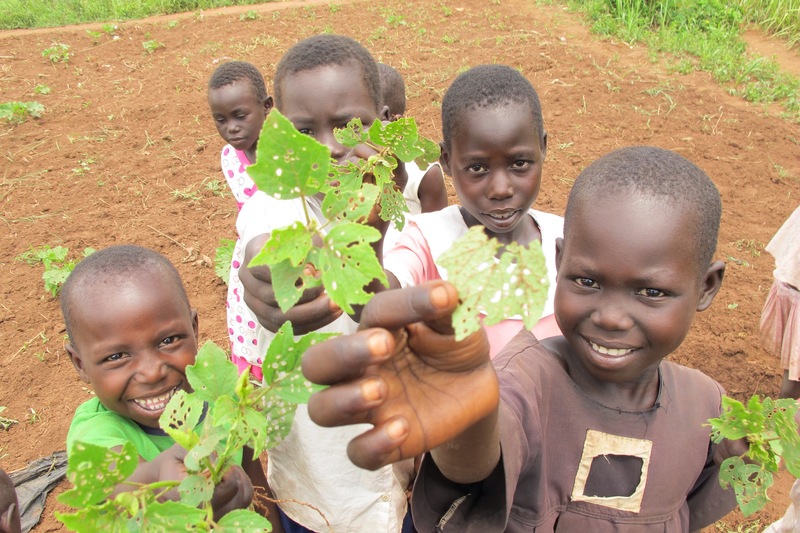 Plus a tractor would allow them to grow food crops to feed their families and cash crops to sell at the market, so they could earn and save money to pay for their children’s school fees when the government school is built. I nodded my head vehemently, in complete agreement, but still Francis continued. If we had a tractor, we’d be free. Even now I get a lump in my throat from those words. I marveled at the simple, yet elegant solution. I listened as Francis continued speaking, asking questions when needed, but mostly just listening. 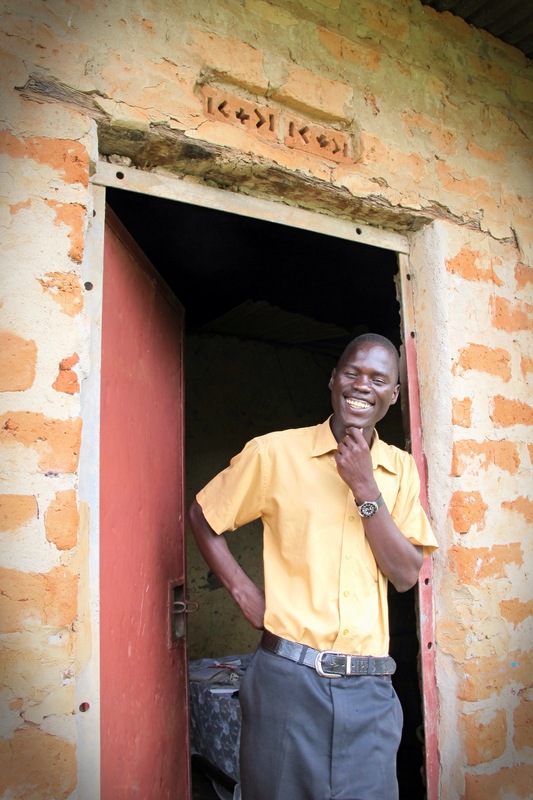 As I listened I realized that Francis thought he needed to convince me, that the reputation of mzungus is to come in with our own plans, to splash our names all over new school buildings and pat ourselves on the back. The ego of it all turns my stomach and makes my heart sick. Denis translated for me and the relief that washed over the faces of the people I love in Te Okot was remarkable. There was a little more discussion amongst members about various kinds of tractors and my mom even spoke to the community. Then I passed out a suitcase full of solar lights and sat on the papyrus mat, cuddling babies, hugging and shaking hands with a throng of adults, and doing my best to gracefully accept all the thanks pouring from their mouths. 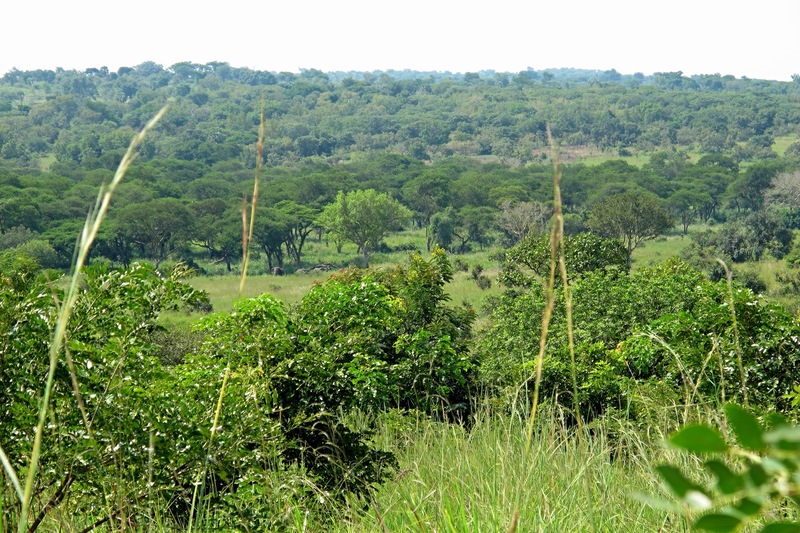 As Bitek drove us away from Te Okot and toward the place we’d stay at the bank of the Albert Nile, I sat in shock. A tractor. I don’t know anything about buying tractors, but then again I didn’t know anything about digging wells either and we all know how that turned out. Vigilantes, my arms are prickling with goosebumps, waiting to see exactly what God is going to do next, waiting to see a new line of dominoes fall perfectly into place. I wish I could take you on the road to the chicken farm with me, the wind against our tanned faces on the backs of boda bodas cutting through the red dirt ribbons of roads. Ladies, I’d show you how to tuck your skirts in while you sit side saddle so your beautiful, billowing skirt doesn’t accidentally billow right into the back wheel and leave your backside wanting for modesty. Then we’d pass by the rock quarry, where women sledgehammer rocks into shards while carrying babies on their backs and not even breaking a sweat. Their strength would make you sit up a little taller, proud to be one of womankind with them. We’d ride past clusters of smiling children waving and calling out, “Munu, bye! Munu, bye! 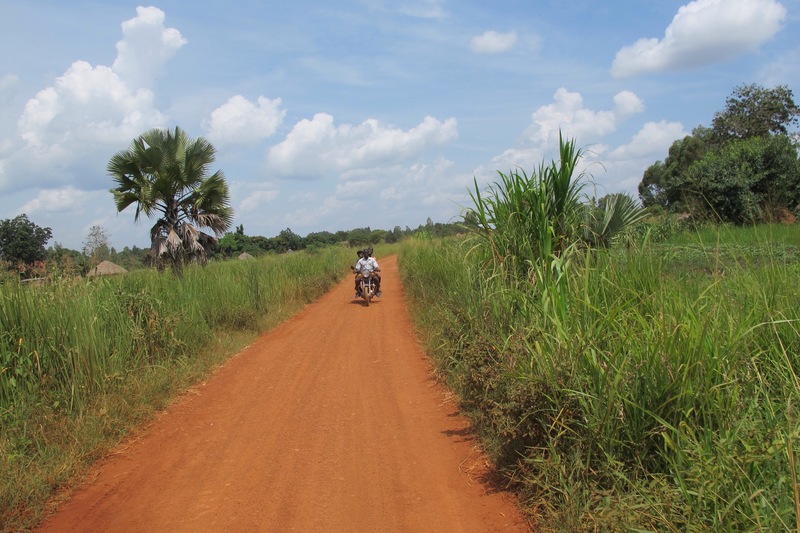 Munu, bye!” Maybe, just maybe as we ride, you, too, would fall in love with the village. Today I took that ride to visit Lamuno, screaming Baby Patience, and the chicks that have, at long last, arrived at the chicken farm. Lamuno was gracious as usual and my oldest kid, William, met us there. 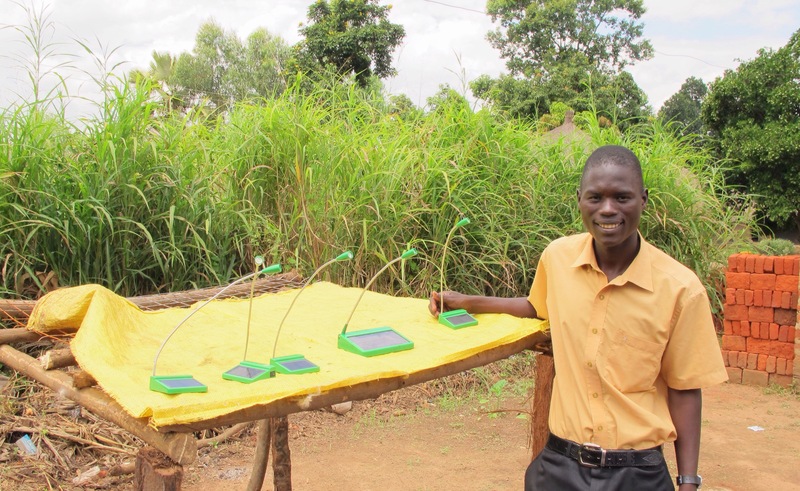 The solar lights Vigilante Kindness had donated to light the chicken house were charging in the sun. Almost immediately, William and I got to work taking photos of the chicken house and the chicks themselves, who were fuzzy, cheeping, little fluffs. Another video did survive, it’s a video of William thanking you for supporting the Chicken Farm Project. I tear up each time I watch it and when I’m somewhere with bandwidth that supports uploading videos, I’ll share it with you, too. 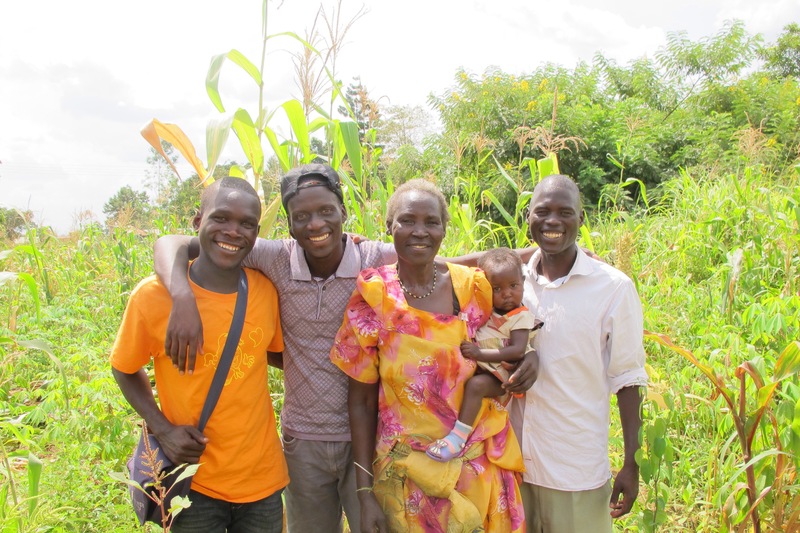 Some of you who have been around Vigilante Kindness since Day 1 know William’s story, have heard me speak of William, about his time as a child soldier and about his miraculous escape. To see the kid, who at a young age often had to choose between his life or the life of another, now stand before me as a young, entrepreneurial chicken farmer makes me burst with pride. William took the lead on the chicken farm project, pricing all of the materials, having them delivered, hiring the construction workers, and doing a host of other tasks. He took his position as the older brother very seriously and didn’t squander a minute or a shilling. 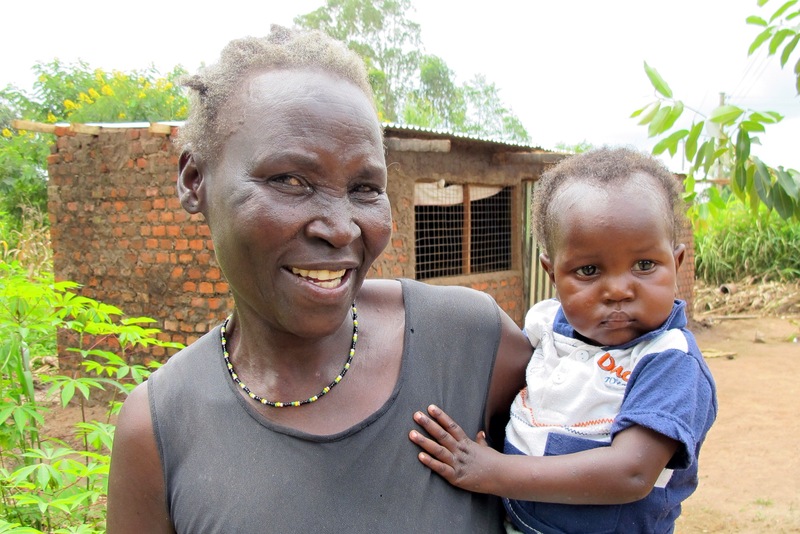 He knows the power of a second chance and understands in ways I’ll never truly know that the chicken farm is a chance at a better life for him, for his brothers, and for the widows and orphans of the community. 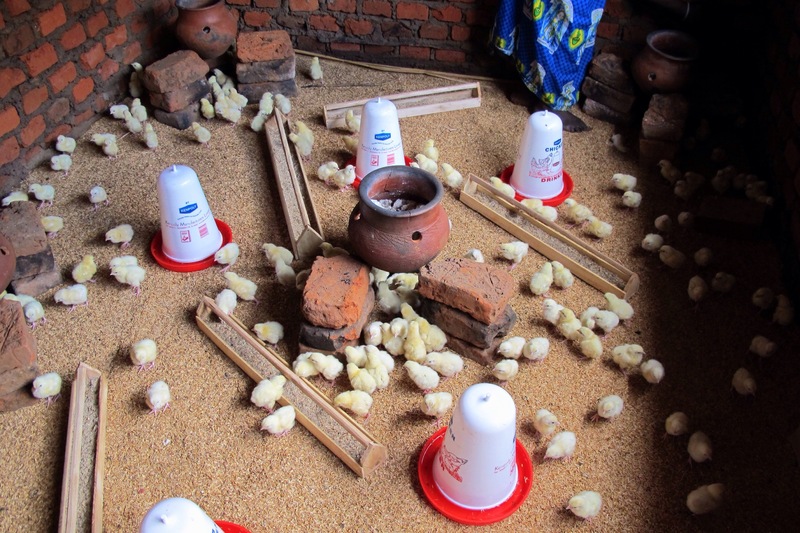 When our work at the chicken farm was finished, Lamuno presented me with a water jug and a millet sifting basket. 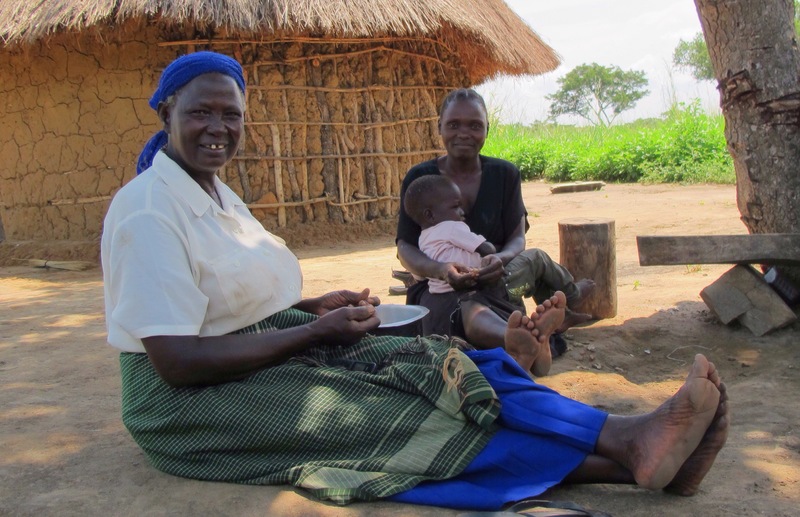 Lamuno lives in poverty, identifies herself with no agenda of gaining pity, as a poor widow. When she handed me these gifts, I knew they were a sacrifice, that many hard earned shillings had been spent on these precious items. I accepted them with tears in my eyes and told her that I love her very much. I wish I could take you to the chicken farm with me, that we could cut through the red dirt roads to hold fluffy, yellow chicks in our hands. I wish you could breathe in the green that is Uganda and wave at the children who run to the roads, smiling and giggling at our passing. Most of all I wish you could shake hands with William and listen to gentle Lamuno speak. Maybe, just maybe, you’d fall in love with the village, but this I know for sure, you’d fall in love with the people. I know the road to Bungatira like I know the road to my own house. I feel the bumps in the road in the pit of my stomach that flip flops with nerves. This place has broken my heart and going back I feel that same heart thud in my chest. I rest a hand on my bag and feel the small spine of my notebook, which contains the short Acholi speech I’ll be giving if asked to speak. The words are still so foreign on my tongue and that, too, makes my nerves bounce inside my rib cage. Denis catches my eye in his rearview mirror. “Itye maber, Lanyero?” Are you good, Lanyero? “Atye maber,” I breathe in the air whipping around me and focus on the red road spread before me. 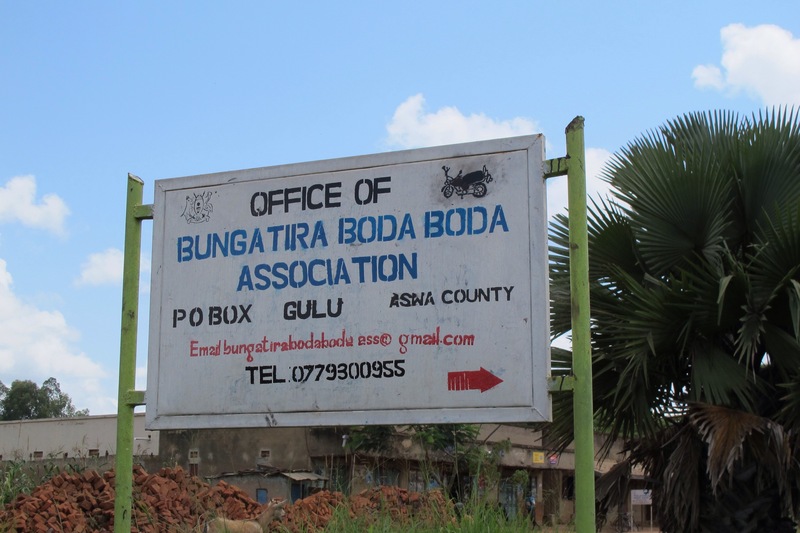 Our first stop is the Bungatira Boda Boda Association Office. Denis has been voted their chairperson and today some of the executive board have gathered to greet us. Their association has a membership of over 300 and has written a full constitution. Denis hands it to me and I read it, smiling at the fact that so many of the tenets are the same as the constitution we revised with the Bungatira community group two years ago. They even have a microloan program for their boda riders. Walt Whitman rises from my heart. Indeed nothing is ever lost. 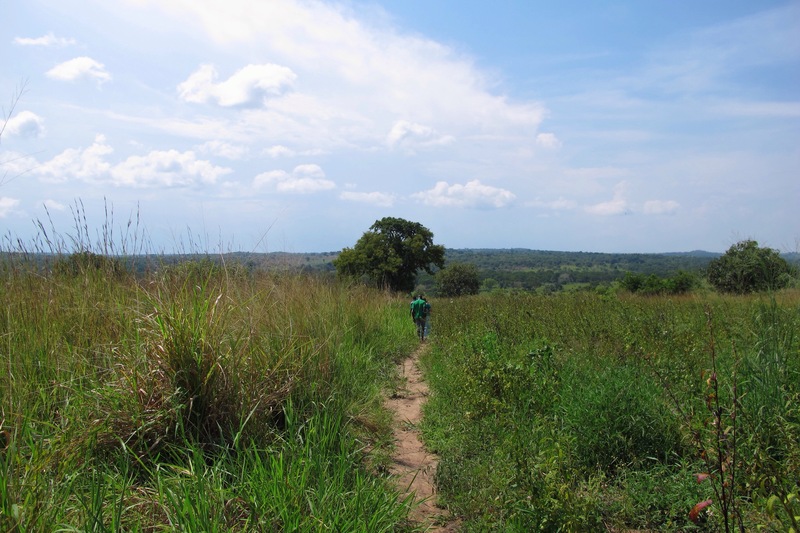 We board our bodas again and ride the ruddy singletrack roads to Mama and Musee’s home. The bush thwaps against my skirt and my nerves are jumping again. I look out over the valley and pray small prayers like. Yes. and Thanks. and Help. Sometimes that’s all I’ve got and thankfully prayer is less about the words I say and more about God who hears them. We arrive at Mama and Musee’s house and Mama sings to me, a song about welcoming her daughter home. She dances and claps and is sunshine and love and warmth. I squeeze her tight and hug her at least six times. I hug the other members of the family, too. I’m relieved to see only the family is there, and only about thirty of them. I sit on the papyrus mat with the mamas and the babies and the children who are growing up too fast and I’m home. 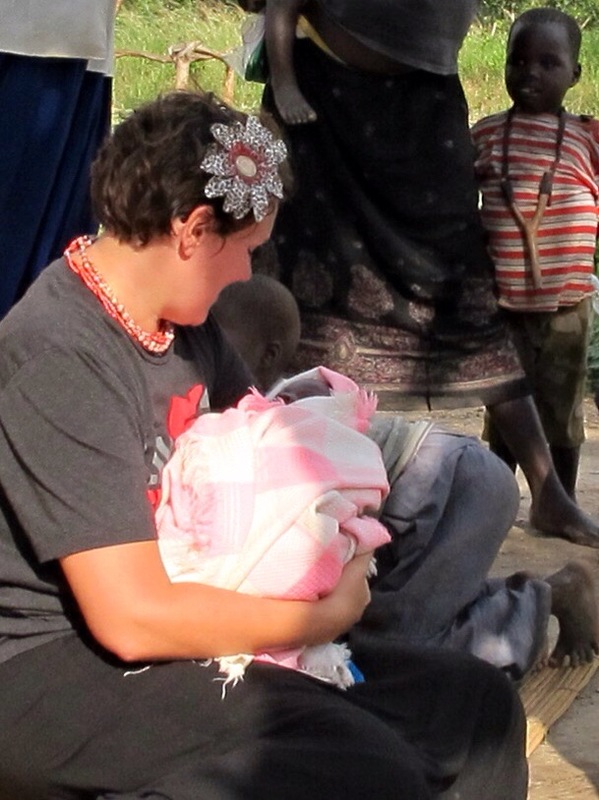 The mamas chatter and make paper bead jewelry while babies coo in their arms. I play rounds of peek-a-boo with the kids who eventually take me to the garden to show me maize and tomatoes and malakwang. Back in the compound Vickie and Mama have prepared lunch for all of us. They’ve slaughtered a chicken and cooked millet and posho and beans and bo’o and rice. It’s a true feast and I eat until I’m stuffed and still they want me to eat more. The rest of the afternoon is full of mamas and babies and dads and kids. Mama asks if I’ll stay with them for a few weeks or even just a night. I feel loved, but decline knowing that my presence is one more mouth to feed. As we prepare to leave Musee speaks and I blink back tears when he expressed appreciation for everything I’ve done for them, everything we’ve done for them. He humbly asks if I’ve brought more lights because his battery is low. I tell him I have both and will be back on Saturday to deliver them. On the ride home, my nerves are gone because that is more than enough.